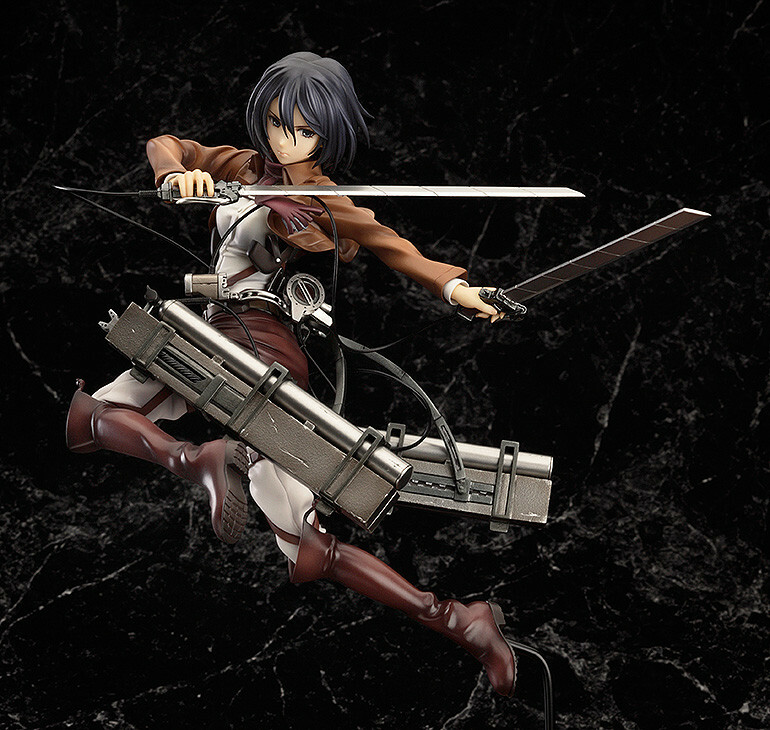 From the popular anime series 'Attack on Titan' comes a 1/8th scale of Eren's childhood friend, Mikasa Ackerman! 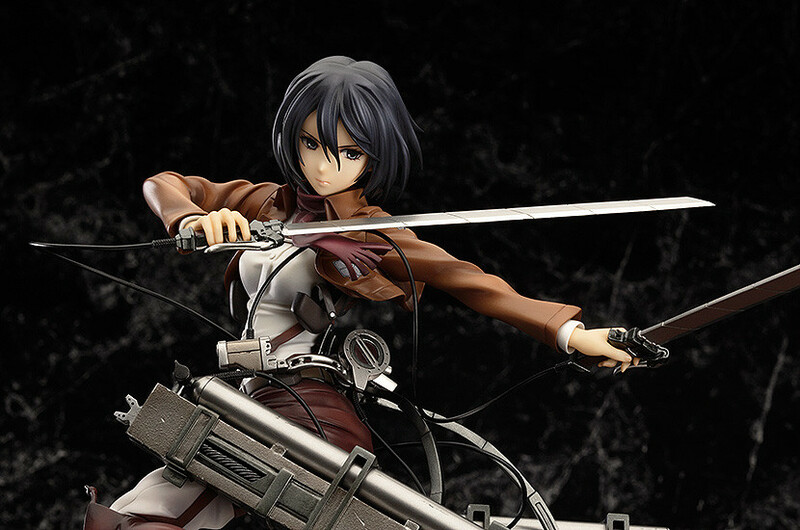 She is sculpted in a dynamic pose based on the cover illustration of the 2nd volume of the Blu-ray and DVD. 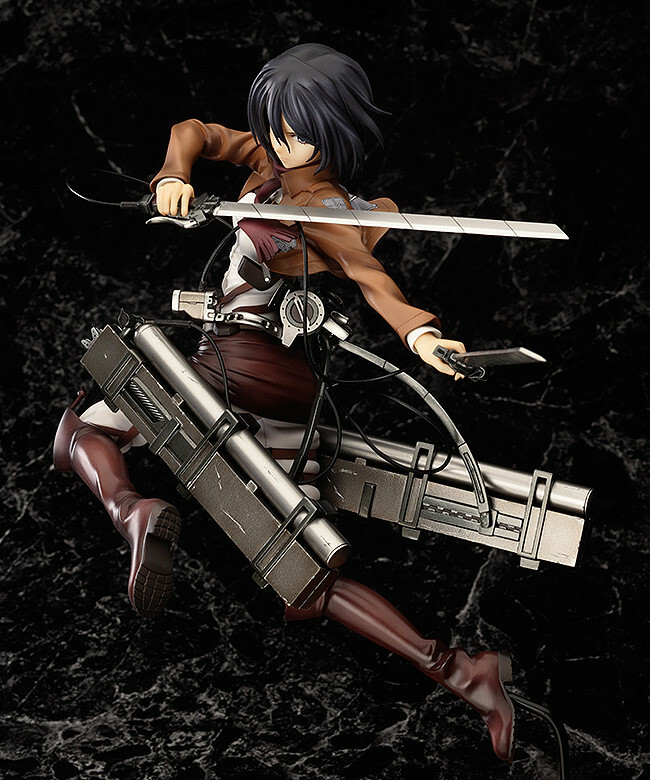 The detail seen on her vertical maneuvering equipment and the textures on her outfit show off just how intricate a scale figure can be, allowing fans to enjoy Mikasa from all sorts of angles! 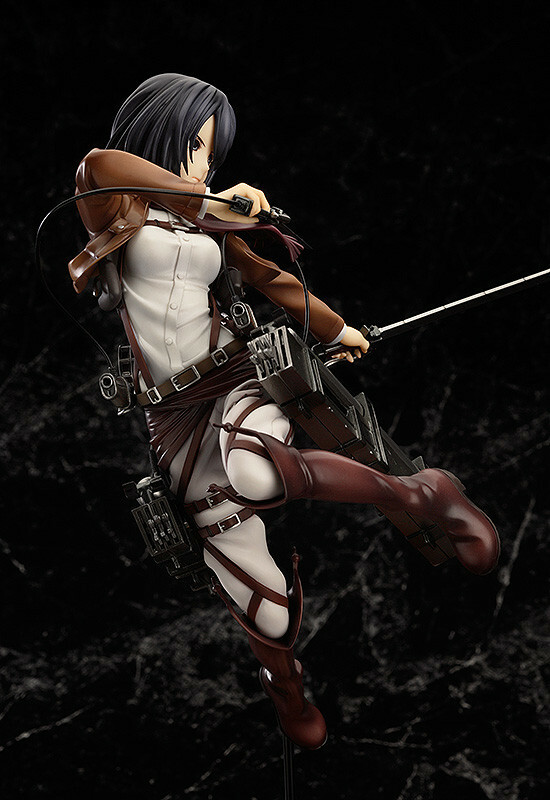 Painted 1/8th scale PVC figure with stand included. Approximately 170mm in height. 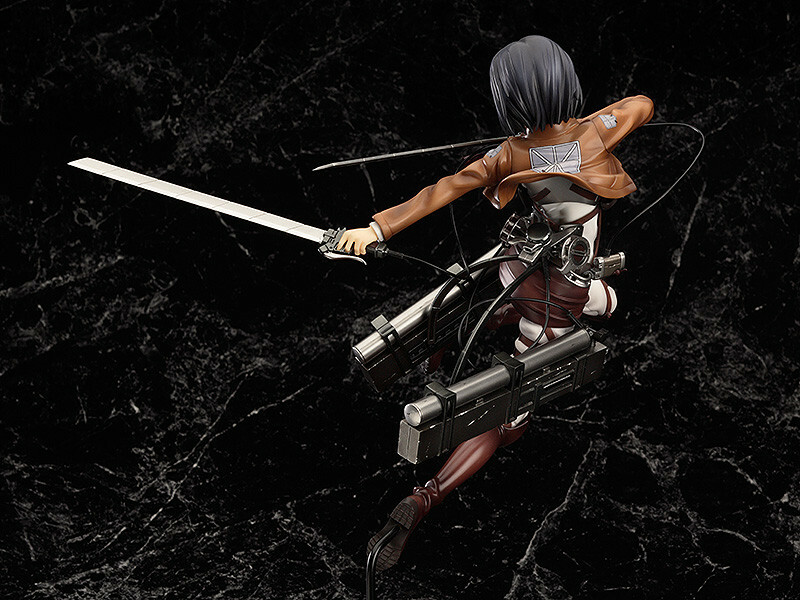 Preorders will be open from 22nd April 2014 (Tues) from 12:00JST until 21st May 2014 (Wed) at 21:00JST.